Nothing says strength like the story of para athlete Scout Bassett. Born in China, Bassett was abandoned and taken to an orphanage after she lost her right leg in what was believed to have been a chemical fire. After experiencing many hardships in her early childhood including, tough conditions, minimal resources (including a lack of food) and child labour, Bassett was adopted at the age of seven and moved to the United States of America. Discovering that she could run at age 14, the determined teen began her journey towards being a top para athlete, learning to run, jump, cycle and swim with her prosthetic limb. Since then she has achieved incredible milestones and now travels the world, her story serving as an inspiration. 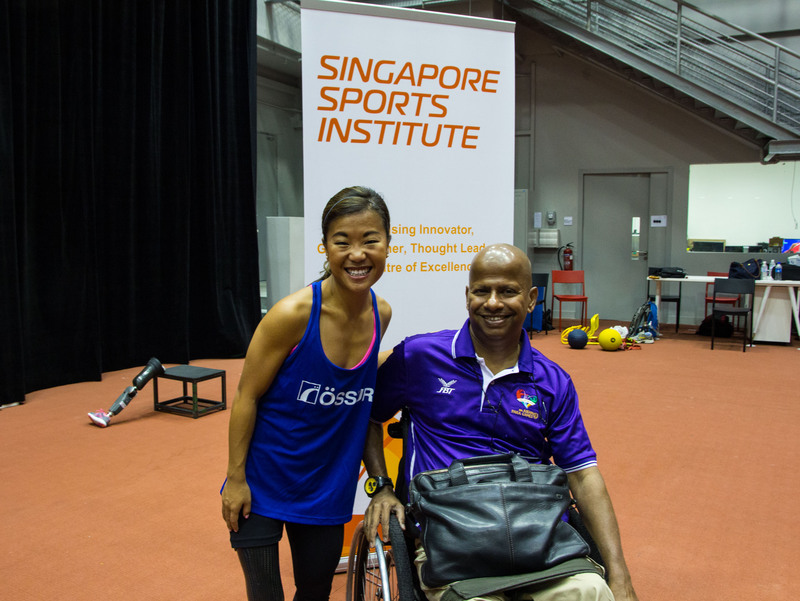 On Friday morning we gathered at the Singapore Sports Institute for a workshop with this bright young lady, where she imparted her advice to “Never give in!”. Our best return is to generate healthy, vigorous exercise for the whole population, young and old, enhancing the valuable qualities we have – a keen, bright, educated people who will lead better and more satisfying lives if they are fit and healthy. Meeting with a range of Singaporean University of Adelaide Alumni at an evening networking event at the Ngee Ann Adelaide Education Centre campus gave us the opportunity to meet Alumni and gain insight into the lives and careers of Singaporeans across a range of disciplines. Over dinner, we exchanged ideas about Singapore’s politics, culture and identity and shared experiences from our studies in Adelaide and Singapore. This entry was posted in Events, News and tagged athlete, disability, exchange, Faculty of Arts, scout bassett, sinapore, singapore sports institute, study abroad, university of adelaide. Bookmark the permalink.